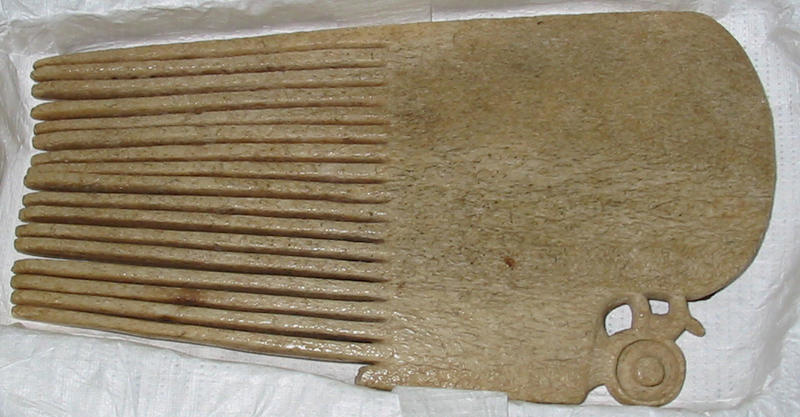 This comb is made from whalebone. It is thought to have been found in the Nelson Region. 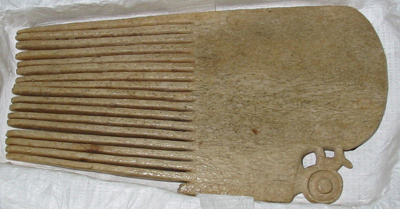 Combs like this were used to secure tikitiki - topknots. Fine combs were one indication of status for Maori.